From Library and Information Science to Philosophy and Back. As much as I enjoy a bit of logic talk, this is something I have tried to keep in mind since finishing my undergraduate in philosophy. Which is not to say that I commit myself to the view that philosophy must necessarily be concerned only with practical matters, but rather that since I have chosen not to go down the route of pursuing a career in academic philosophy, I want to be able to apply the skills I gained studying philosophy to whatever I occupy myself with in everyday life, which as it turns out is library and information science. Prior to studying philosophy, I had been working as a library assistant in an academic library but it wasn’t until I graduated and was halfway through my LIS masters a couple of years later that I realised there are interesting philosophical issues to be considered in relation to libraries. By chance, while carrying out research for an assignment, I discovered a paper by John M. Budd, Academic Libraries and Knowledge: A Social Epistemology Framework, where he considered the role of the academic library in knowledge acquisition, and argued that, under a reliabilist epistemology, the library could be considered part of the so-called reliable process through which one acquires knowledge, by supporting the critical evaluation of knowledge claims. While I am unsure if I would consider myself a reliabilist when it comes to epistemology, I certainly agree that libraries can and should play an important role when it comes to enabling the critical evaluation of knowledge claims. Though arguably not a new one, this issue has risen to prominence over the last few years, with the term “fake news” being thrown around readily and with some now referring to our current time as the era of “post-truth”. As a result, many librarians have stepped-up to argue that they are best equipped to help people identify fake news and many libraries have rebooted their information literacy programs to address the issue explicitly. However, an arguably overlooked point is the need for LIS courses to ensure future library and information professionals are equipped to deliver the kind of information literacy training necessary to do so – something which I think could be addressed by the inclusion of philosophy, or at least encouragement of philosophical reflection – within the LIS curriculum. An apt analogy to demonstrate the importance of philosophy comes from the late Mary Midgley who likened philosophy to plumbing, noting that ‘plumbing and philosophy […] both have, beneath their surface, a fairly complex system which is usually unnoticed, but which sometimes goes wrong. In both cases, this can have serious consequences’ (2000, p.2). However, where they differ, she notes, is that ‘when the concepts we are living by work badly, they don’t usually drip through the ceiling or swamp the kitchen floor. They just quietly distort our thoughts and obstruct our thinking’ (Ibid., p.2). To return to the point of this post, after following the threads from Budd’s paper on social epistemology I discovered what has become known as the “foundationalist debate” in LIS – the debate over whether LIS needs a philosophical foundation and if so what this foundation should be. This led me to Luciano Floridi’s philosophy of information (PI) and, in particular, his paper On defining library and information science as applied philosophy of information, where he argues that philosophy of information should be the foundation for LIS and that LIS can be seen as applied philosophy of information. While I am more convinced of the former claim than the latter, I have become deeply interested in PI and the methodological framework proposed by Floridi for approaching philosophical problems, as well as in how this approach can be used to deal with philosophical issues as they arise in LIS. Carrying out research in PI has already led to me consider a number of what might be considered metaphilosophical issues such as ‘what is philosophy?’, ‘what constitutes a philosophical question?’, ‘what does it mean for philosophy to be applied?’ and ‘what is the relationship between science and philosophy’? – issues which I think attempting to answer can serve to strengthen the argument that a philosophical foundation would be of value to LIS, independently of whether that foundation is Floridi’s PI. Though in attempting to do so I will try to keep in mind the above quote from Wittgenstein and attempt to relate the answers to important questions in everyday (LIS) life. Beebee, H. and Rush, M. (2019). Philosophy: Why it Matters. 1st ed. Cambridge: Polity Press. Midgley, M. (2018). What Is Philosophy For? London: Bloomsbury Publishing PLC. Williamson, T. (2018). Doing Philosophy : From Common Curiosity to Logical Reasoning. Oxford: Oxford University Press. Budd, J. (2004). Academic Libraries and Knowledge: A Social Epistemology Framework. The Journal of Academic Librarianship, 30(5), 361-367. Floridi, L. (2002). On defining library and information science as applied philosophy of information. Social Epistemology,16(1), 37-49. Malcolm, N. (1958). Ludwig Wittgenstein : A memoir. London, New York: Oxford University Press. Midgley, M. (2000). Utopias, Dolphins and Computers. Milton: Taylor & Francis. Please note that you must discuss your intended area of research with a staff member, before submitting an application to our PhD Programme. For this assignment, I have chosen to evaluate the article ‘Academics’ attitudes towards peer review in scholarly journals and the effect of role and discipline’ written by Jennifer Rowley and Laura Sbaffi in Volume 44, Issue 5 (2018) of the Journal of Information Science. This article is somewhat complicated by the fact that the dataset used was not created by the authors and therefore, it is difficult to assess it under certain criteria. As a result, I have used Glynn’s (2006) critical appraisal tool and I have applied the questions in this framework directly to the original survey/report conducted by Taylor & Francis (2016) in addition to the article itself where appropriate. This tool comes in the form of a checklist which breaks down a study into questions grouped into four sections – each question can be answered with a Yes, No, Unclear or N/A which can be later be used to calculate the overall validity of an article, as well as each section in general. This particular framework appears to be fairly well regarded and has been applied by others for their own research – see Aubry et al. (2017), Cairns et al. (2012) and O’Rourke & O’Brien (2016) for practical examples of this. A copy of the appraisal tool is located in Appendix II of this essay including the results for this particular article. I will explain the results of this analysis in further detail and explore some of the issues that have arisen from this. Where questions are not relevant to this particular article, I have omitted them from this essay (e.g. questions on comparative studies). Glynn’s critical appraisal tool provides a useful framework for analysis but is predominantly focused on the methodological and research design aspects of critical analysis and does not consider other suitable questions which may be of interest for evaluation. Whilst the main appraisal is based around this tool, I have devised a selection of background questions that aim to give a broader introduction to the article and provide a platform for more detailed analysis. These questions are based on concepts found in Bawden & Robinson (2012) and Greenhalgh (2014) and can be viewed in Appendix I. What journal was this article published in? Is it an appropriate journal to be published in? This article was published in the Journal of Information Science. It currently has an impact factor of 1.939 and is ranked 27th out of 88 for the subject ‘Information Science & Library Science’ (Journal Citation Reports, 2018). Its impact factor and ranking suggest it is a fairly refutable journal for this subject as it ranks in a mid-to-high place. It is also published in association with the Chartered Institute of Library and Information Professionals (CILIP), the UK’s professional body for library and information science professionals, also adding to the credibility of this journal. Who wrote this research? Are they a credible author with an appropriate background to explore this subject? Jennifer Rowley is a Professor of Information and Communications at Manchester Metropolitan University. Her academic record suggests she has a wide understanding on the subject written in this article, including articles looking at academic attitudes towards open access (Manchester Metropolitan University, 2018). Laura Sbaffi is a lecturer in Health Informatics at the University of Sheffield within their Information School. Her previous research has included subjects such as information literacy and information behaviour and shows a pattern of frequent collaborations with Jennifer Rowley (The University of Sheffield, 2018). Based on their staff profiles and research backgrounds, it is fair to say that both of these academics have sufficient understanding of the subject material they discuss in the main article I am evaluating and can be considered as reliable and reputable sources. Is the style of the article suitable for its audience? The article follows a standard template consisting of an abstract, introduction, literature review, methodology, findings, discussion, conclusion and further recommendations section. Each section uses appropriate and clear language that defines the boundaries of the article. Does this research contain a literature review? Is it comprehensive enough for this research? Do they draw appropriate findings from the literature review? The article provides a neatly presented table in the appendix of the previous studies of a similar nature and scope which is presented clearly in order of year of publication. They also provide fair analytical synopses of each previous similar study, explaining the scope of the research (national vs. international), style of research (quantitative vs. qualitative), results and methodologies. They fairly conclude that previous studies have affirmed the value of peer review but have not considered the subject from the same angle that Rowley & Sbaffi intend to. Rowley & Sbaffi contend that previous research on this subject has not considered the impact that discipline and role in the publishing process has on attitudes towards peer-review on an international level. The literature review is fairly comprehensive regarding previous studies of this size so this research should be considered original and based on their publication history, they have not previously explored peer review in detail. Behaviors and Attitudes towards Open Access Publishing in Scholarly Journals’. The titles alone are similar but the articles themselves bear striking similarities in style and content; for strong examples of this, see the methodology for both articles which contain many sentences that are identical showing this work is somewhat formulaic. This raises a difficult question for this article as on a technical level, their research has been what we could consider original but if they are producing regular research using a formulaic structure and methodology where the parameters are changed slightly each time, is it truly that original? Is the dataset and numerical value of the research consistent? One noticeable issue is that figures within the article do not entirely match the numbers within Taylor & Francis’ own dataset. For instance, both Rowley & Sbaffi and the Taylor & Francis report agree that the survey was sent to 86,487 academics; by contrast, Rowley & Sbaffi state that 7,875 questionnaires were completed but within the Taylor & Francis White Paper, they have the figure as 7,438. Within the article’s acknowledgements, Rowley & Sbaffi point out that they had access to the data generated from the survey, which could mean the raw data they were working with could have different values to that which was presented in the Taylor & Francis survey. Overall, the variation is not dramatic enough and the analysis they provide has a suitable enough population and sample size that this slight change is likely to be negligible to their analysis but overall, I would like to know why there is this slight discrepancy in the figures. Are the citations used appropriate? Is the original research being cited presented in a fair and accurate way? The citations within the article are used appropriately, often citing other academic research on peer review to establish what is meant by the term in their introduction and how this has developed over time. These citations are often used again and added to by other citations featuring in the literature review which explore the previous research on this subject. Is the abstract written in an appropriate style? The abstract they have written provides a concise summary of what their research aims to find out and provides a brief summary of what their research discovered and their conclusions which I think fairly reflect what they found. One useful addition that could have been included in the abstract would have been a summary of the methodology they used (e.g. how the data was gathered, how did they analyse it). As the data used in this article was based off a Taylor & Francis survey completed in Spring 2015, evaluation for this article is based off a combination of the methods used in the original survey and the methods explained in the article. For instance, Section A (Population) and Section B (Data Collection) questions can be applied to the original survey but would not be applicable to the article. However, Section C (Study Design) and Section D (Results) can be applied to both. For this appraisal, I will only apply Glynn’s tool to the Taylor & Francis survey to assess its general validity as a dataset for the article in question – the article will be assessed for its findings and methodology under a separate framework. Is the study population representative of all users, actual and eligible, who might be included in the study? YES: The survey was distributed to 86,487 authors, reviewers and editors across both Science, Technology and Medicine (STM) disciplines and Humanities and Social Sciences (HSS) fairly equally (Taylor & Francis Group, 2015a). Results were compared with a sample of researchers from Thompson Reuters to further ensure that the results were representative of academia broadly – not just Taylor & Francis (2015b). Are inclusion and exclusion criteria definitively outlined? YES: The report specifically targeted researchers that had published with Taylor & Francis in 2013 – this was seemingly indiscriminate across all subjects and potentially ethical areas such as gender, race, and religion. Whilst this would exclude researchers who are not involved with peer review and publishing for whatever reason, it is explicitly outlined in their survey. Is the sample size large enough for sufficiently precise estimates? Is the response rate large enough for sufficiently precise estimates? YES: Whilst it is difficult to say how many ‘researchers’ there are exactly in the world, if we take UNESCO’s 2013 estimate of there being 7.8 million researchers in the world (UNESCO, 2016) it is safe to assume that the sample size is certainly sufficient. Whilst there is no benchmark for what is considered a good response rate, we can judge this survey off the response rate of other similar surveys (Denscombe, 2017). Based off Rowley & Sbaffi’s literature review, other previous studies have had even less responses than the 9.1% response rate of this survey. This suggests that the quantity of respondents due to the large sample size makes this an acceptable response rate. Is the choice of population bias-free? YES: Even though the selection is exclusive to those involved with Taylor & Francis publishing in 2013, this population is likely to be bias-free due to the sample size. Porta (2014) defines a selection bias as the ‘systematic differences’ that differentiate the population of a study with other populations and says that ‘These differences may make it problematic to transport the inferences from the study population to the other populations.’ In this instance, I feel that the likelihood that researchers involved in this survey have a high crossover with other publishers makes this a relatively bias-free survey – the comparative sample with Thompson Reuters researchers also supports that there is an attempt to be bias-free. Are data collection methods clearly described? YES: The survey was an online survey sent out to respondents during Spring 2015 via email. Is the data collection instrument validated? YES: As shown in Rowley & Sbaffi’s methodology (Section 3.1), Taylor & Francis tested this questionnaire internally and extenrally with aa small group of academics. They also sent the survey out in small batches, which allowed them to address any technical issues that may have arisen. Does the study measure the outcome at a time appropriate for capturing the intervention’s effect? YES: The survey was sent during Spring 2015. Whilst the questionnaire and area of interest is not particularly time sensitive and is likely to change again given enough time, the window provided seems sufficient for obtaining a snapshot of academic attitudes towards peer review in a certain timeframe. Is the instrument included in the publication? YES: This is a slightly complicated question as the survey and results are not directly included with the article as an appendix but this information is freely available online via Taylor & Francis who conducted the survey. Whilst it would have been better to include the instrument as part of the article, by providing reference as to where the public can access the data, this does make it accessible for evaluation and therefore transparent research. Are questions posed clearly enough to be able to elicit precise answers? UNCLEAR: Whilst the compilation of questions are mostly logical and ask the respondence to choose an option from 1 to 10 based on agreement (e.g. 1 = strongly disagree, 10 = strongly agree), some of the questions could be framed in a less ambiguous manner. For example, Question 6a in Table 3 reads as follows: ‘Authors of one gender (either male or female) are more likely to be accepted for publication in a journal than authors of the other gender.’ On a scale of 1 = extremely rare, to 10 = extremely common, by not specifying the gender, I feel this provides a potential lack of insight into gender inequality in the peer review process. For example, within STM researchers, editors (77% male to 23% female) and reviewers (68% male to 32% female) are largely dominated by older males. By asking non-specific questions with vague descriptions, you risk losing nuance and actual inciteful areas for further research. Were those involved in data collection not involved in delivering a service to the target population? YES: Despite Taylor & Francis having a vested interest in academic attitutudes towards peer review, the anonymity of the survey eliminates the possibility of bias regarding the distribution and gathering of the survey data. Is the study type/methodology utilised appropriate? YES: Using the initial results from the survey, Rowley & Sbaffi input the responses to the questionnaire to IBM SPSS – a piece of software designed for statistical analysis – to provide their own findings on the subject with a focus on statistics. YES: At a simple level, the methodology used seems valid and appropriate for this study. Is the research methodology clearly stated at a level of detail that would allow its replication? YES: The article outlines how the data was gathered by Taylor & Francis – whilst I could not replicate the reach of a major publishing company, the survey layout is made up of fairly standard closed questions using ‘Likert-style’ questions which could be replicated. The methods they use for data analysis are also replicable as I could input the data set available into a statistical analysis software and produce the results they did. Are the outcomes clearly stated and discussed in relation to the data collection? YES: In the introduction of the article, Rowley & Sbaffi make a clear statement that they aim to contribute to the knowledge of academics’ attitudes towards the peer review process with a particular focus on whether this is impacted by discipline or role in the process (as author, reviewer or editor). By performing an analysis of variance (ANOVA) between the disciplines and roles, the authors attempt to determine whether there are statistically significant differences between any of these groups. Are all the results clearly outlined? YES: The outcome of their statistical analysis for each question is clearly available in Tables 1 to 5. They explain that empty cells have been left this way as they contained no significant difference between values. In this context, the omission of data is not to obscure their analysis but is an acknowledged absence of significance which seems an appropriate reason to omit this data. Are confounding variables accounted for? NO: The original Taylor & Francis survey also carries demographic based questions such as gender and age by discipline and role (author, reviewer, editor). Looking at the original data survey results, significant differences can be seen between these demographics within discipline and roles and could lead to interesting interpretation of the data which I believe is missing from the article. Whilst I respect the authors’ intent was to do a large scale statistical analysis of survey results, they should have made some mention of the range of ‘confounding variables’ that are not analysed in their article as possible areas for further research. Do the conclusions accurately reflect the analysis? YES: The discussion and conclusion section of the article provide a fair and succinct summary of the statistical analysis of the survey data and the authors do not make any inappropriate assumptions based off the data they had. 1 Examples of this formed part of the analysis when answering the question ‘Are questions posed clearly enough to be able to elicit precise answers?’ on page 8. Is subset analysis a minor, rather than a major, focus of the article? YES: Overall, there are five tables presented that split the questions into suitable categories. In both the findings and discussion of the results, the authors explain what the results show for an appropriate length each without any bias to a particular set of results or any other major subset analysis infractions. Are suggestions provided for further areas to research? YES: The final section of the article (section 6.2) concludes by providing suggestions for future research including topics such as understanding further the disciplinary differences between HSS and STM. YES: The population size of the survey was both large and non-specific with a good sample size which allowed for the generation of acceptable results. This checklist has also demonstrated that the article and research methods were relatively free from bias. If Y is greater than or equal to T by 75% or N + U is less than or equal to T by 25%, then we can conclude that the research conducted has validity. The total for this article is 21 with 19 yes, 1 no and 1 unclear. Based off of this, we can determine that the article has 90% validity and can therefore be treated as an appropriate piece of research. Overall, this critical analysis has tried to demonstrate the quality of the article written by Rowley & Sbaffi by using an established critical appraisal tool in addition to supplementary questions devised by myself. The methodical approach to viewing their article using Glynn’s (2006) tool demonstrates that this article has ‘high validity’ scoring 90% overall and achieves a score well above the 75% threshold established for validity in each section too (see Appendix II). In addition to this detailed appraisal of the data behind their article, the background questions help to establish that the authors, journal and article itself are also credible. In summary, I would assess that this article is a solid piece of research that has been constructed in a logical fashion. The only reservations I hold are regarding how creative this research should be considered. Whilst they have made the case that this is an area of research that has not been considered before, this piece almost comes across as by-the-numbers academic publishing with identical methodologies to previous work. Alternatively, this may be too cynical and if the methodology and approach is an effective and suitable way of processing similar batches of data, then using a similar approach for other research is within reason. In addition, whilst Taylor & Francis presentation of the data is visually friendly with plenty of diagrams and charts, it can be difficult to digest the significance of the data. By processing the data through statistical software, Rowley & Sbaffi changes the way an audience interprets the data by presenting the information in a more robust manner than the original survey. For this reason – in addition to the many others above – I would say that overall, this is a solid piece of academic research. Aubry, R. E., Scott, L. & Cassidy, E., 2017. Lithium monitoring patterns in the United Kingdom and Ireland: Can shared care agreements play a role in improving monitoring quality? A systematic review. Irish Journal of Psychological Medicine, 34(2), pp. 127-140. Bawden, D. & Robinson, L., 2012. Introduction to Information Science. London: Facet Publishing. Cairns, G. et al., 2012. Systematic Literature Review of the Evidence for Effective National Immunisation Schedule Promotional Communications, s.l. : European Centre for Disease Prevention and Control (ECDC). Denscombe, M., 2017. The Good Research Guide: For small-scale social research projects. 6th ed. London: Open University Press. Glynn, L., 2006. A critical appraisal tool for library and information research. Library Hi Tech, 24(3), pp. 387-399. Greenhalgh, T., 2014. How to Read a Paper: The Basics of Evidence-Based Medicine. 5th ed. Chichester: BMJ Books. Manchester Metropolitan University, 2018. Profile – Manchester Metropolitan University. [Online] Available at: https://www2.mmu.ac.uk/infocomms/staff/profile/index.php?id=125 [Accessed 30 December 2018]. O’Rourke, G. & O’Brien, J. J., 2016. Identifying the barriers to antiepileptic drug adherence among adults with epilepsy. European Journal of Epilepsy, Volume 45, pp. 160-168. Porta, M., ed., 2014. A Dictionary of Epidemiology. 6th ed. Oxford: Oxford University Press. Rowley, J., Johnson, F. & Sbaffi, L., 2017. Academics’ Behaviors and Attitudes Towards Open Access Publishing in Scholarly Journals. Journal of the Association Form Information Science and Technology, 68(5), pp. 1201-1211. Rowley, J. & Sbaffi, L., 2018. Academics’ attitudes towards peer review in scholarly journals and the effect of role and discipline. Journal of Information Science, 44(5), pp. 644-657. Taylor & Francis Group, 2015a. Peer review in 2015: A Global View: A White Paper from Taylor & Francis, s.l. : Taylor & Francis. Taylor & Francis Group, 2015b. Peer review in 2015: A Global View: Key survey data from Taylor & Francis, s.l. : Taylor & Francis. The University of Sheffield, 2018. Dr Laura Sbaffi – Staff – Information School – The University of Sheffield. [Online] Available at: https://www.sheffield.ac.uk/is/staff/sbaffikeypublications [Accessed 30 December 2018]. UNESCO, 2016. UNESCO Science Report: Towards 2030. 2nd ed. Paris: UNESCO Publishing. How has the catalogue developed from the ancient world until the 21st Century? What current questions does cataloguing face? The writer and bibliophile Alberto Manguel maintains that “the subjects or categories into which a library is divided not only change the nature of the books it contains (read or unread), but also in turn are changed by them. […] And yet order of almost any kind has the merit of containing the uncontainable” (2008, 44-45). This is what people have tried to do since writing was invented, some people more obsessively than others perhaps, among them no doubt, scribes, philosophers, science scholars, archivists, librarians, computer scientists. The catalogue form has been one of the tools for organising knowledge and in this essay I will outline its development. For reasons of space, I will confine my survey to the West, highlighting peculiarities and innovations prompted by technological and cultural changes, but also continuities in practices over the centuries. I will also explore some of the opportunities afforded today by new technologies and the challenges for cataloguing standards presented by new cultural and ethical paradigms. As well as on scholarly literature, I will draw on my personal experience of libraries as a user and, more recently, as an insider, linking long-standing issues to current practices within actual libraries, academic libraries in particular. Although the notion of what constitutes a library varies in different places and at different times, with blurred boundaries between ideas of archive and library as we understand them today, for the purposes of this essay I will use the term library to refer to “a collection of graphic materials arranged for relatively ease of use, cared for by an individual or individuals familiar with that arrangement, and accessible to at least a limited number of persons” (Harris 1995, 1). In this sense, it is safe to say that historically catalogues were physical and intellectual tools for (proto) librarians to record holdings and find items, as much as they are today, but took different forms and structures at various historical moments depending on the technology available and the purposes they served. The most basic distinction to be made is between catalogues for internal use – collection inventories or shelf lists – and catalogues for external users. The former aimed at keeping a record of the existing stock (and often its location, too), the latter were conceived as a way to ‘advertise’ the collection and became more prominent once libraries developed into centres of study and not mere repositories for preservation (and reproduction) of knowledge (Hannah 2017, 45). I believe this basic distinction still holds today, when any software for library information management presents at least two interfaces of the catalogue, one for library users to search the collection (and locate or download items), and one for librarians to manage it (i.e. purchase, accession, discard items etc.). The developments of information technology, especially in recent years, have however afforded library catalogues an unprecedented sophistication turning them into very powerful intellectual tools, as I will explain in the conclusive part of this work. So when did humans start cataloguing? Among the most ancient civilizations of the Western canon, in Mesopotamia and Egypt, archaeologists have found evidence of early record collections. Although little of the fragile materials used in Egyptian libraries (papyrus and then parchment) has survived, circumstantial evidence suggests that systems of organisation of their contents were in place; on the other hand, the Sumerians, Assyrians and Babylonians have left behind abundant material (Bawden and Robinson 2012, 22-24). Clay tablets have been found containing lists (of gods, professions, incantations, geographical names), but also letters, commercial and family records, mythological narratives, hymns, laws, glossaries etc. Systems of storing, preserving and retrieving these documents are well attested: one of the earliest examples of clay catalogues from the Sumerian city of Ur from some 5,000 years ago, listed key words from the first two lines of a hymn to identify its tablet; among the Akkadians, who replaced the Sumerians and built their first libraries around 2200 BC, the clay catalogue contained instead the incipit for a single group of tablets (Lerner 2002, 14-15). In Mesopotamia, documents were held in palaces or temples and fulfilled administrative, religious, and scholarly purposes. Among the first librarians we know of, was the Babylonian Amilanu, who lived approximately in 1700 BC: Babylonian libraries were open to all and users were handed a piece of papyrus to write their names on and the title of the material they wished to see, so that the librarian would fetch it for them (Norris 1939, 1-5). Curiously this is exactly what I had to do in the Cambridge University Library to consult Norris’s text, although some books in this particular section can also be requested electronically via the online catalogue. Like in any modern ‘temple of knowledge’, the amount of documents at Cambridge UL is especially vast (being a 600-year-old and a legal deposit library), and the increasing availability of resources on electronic format does not seem to have helped solve the chronic shortage of space. Those subjects that have enjoyed a rapid expansion in recent years have books overflowing on (and under) tables, invading other subjects’ shelf space, intruding into areas of the library unfamiliar to the specialist reader, who follows the temporary re-direction signs through unknown labyrinthine stacks, meanders from floor to floor, and then eventually gives up, and turns to the library staff for help. And the competent, modern-day Amilanus can help, of course, because they know the principles that inform not only the arcane classification systems and shelving whereabouts but also the exceptions and emergency plans in place. And yet one resents the betrayal of the online catalogue that showed the ‘wrong’ location, and no warning of such intricate displacement. This experience was not one that library users in Mesopotamia would have been familiar with, as self-fetching and browsing was not an option, and the kind of catalogue they could rely on was typically a classified or classed catalogue, i.e. a catalogue arranged by subject according to the classification system in place in each specific library. In the famous library of Nineveh, established by the King Ashurbanipal (ca. 669-631 BC), the sizeable collection was organised by subject in separate rooms. The tablets were kept in jars and arranged on wooden shelves in a systematic order, with each tablet numbered and for multi-tablet works, each tablet presented the first line of the whole work as well as the first line of the succeeding tablet; related works were held together in a basket, whose tablet-tag contained an indication of the set, the jar, the shelf and the room. Outside each room, an early form of catalogue (also on clay) displayed a list of its contents: title of works, opening words, number of tablets each consisted of, and location symbol (Harris 1995, 20). Although Mesopotamia lays claim to the first libraries of antiquity, evidence suggests that Egypt also had some as old and similarly arranged its papyrus rolls according to content. The oldest surviving library catalogue has effectively been discovered at the temple library of Edfu in Upper Egypt (early 3rd century BC) and it consists of a list of books engraved on the walls of the library itself. It is also known that rolls were kept in chests where a tablet or a pictorial representation on their cover indicated the books contained in them (Husayn 1970, 22). If subject catalogues have been in use to these days, both as physical objects (the card catalogue) and as a search criteria or access point to a collection, pictorial catalogues have typically held an ancillary role. Having examined many instances in different countries and eras, the library historian André Masson explains that library decoration before 1789 was closely related to the classification of the volumes on the shelves and had practical purposes. He argues that, since classical antiquity, portraits or busts of authors featured regularly in libraries to signpost the location of the various collections: so if a seated Euripides holding a list of his plays could be found in a Roman library, monastic libraries would strategically display images of authors from religious orders. Among more sophisticated instances of pictorial catalogues the Tree of Knowledge in the Austrian Benedectine’s Abbey of St. Lambrecht stands out: painted on a pillar it displays a crop of open books with their author’s names. In Renaissance and baroque libraries images were often intended to suggest the subject classification: the Judgement of Solomon indicated Law; Apollo and the Muses pointed to Literature, etc. Although a pictorial representation never replaced a catalogue proper (not even in Rococo libraries, with their flamboyant decorations and imaginative designs) the visual element has made a comeback in today’s OPAC and Discovery catalogues, where thumbnail images of modern items’ covers and jackets, for example, help patrons identify and select materials. The fully-fledged library catalogue of antiquity comes into existence at the famous library of Alexandria in Egypt, the first example of a universal library whose purpose was to acquire all the available knowledge and attract major writers, scholars, etc. to make it the centre of learning. The poet Callimachus compiled a classified catalogue consisting of 120 rolls. It was made on slips of papyrus called Pinakes (‘tables’), where a short title was written which corresponded to the label on the appropriate papyrus roll. The main divisions of the catalogue comprised Epic writers, Dramatic writers, Writers on Law, Philosophical writers, Historical writers, Oratorical works, Rhetorical works, Miscellaneous works, and each was further subdivided, with entries arranged either in alphabetical order by author, or chronologically. Some sections (like philosophy) required additional data to avoid confusion, so Callimachus added a brief analysis of the work as well as a short profile of the author. As Harris (1995: 45) points out, this additional bio-bibliographical work earns Callimachus the title of first bibliographer and subsequent scholars continued his work. The library staff in Alexandria also undertook the important task of recording the provenance of each roll, and who had improved the work. In modern terms we would call these a publisher or editor, entities that in current international cataloguing standards (ISBD) and its various actualizations (AACR2 and FRBR) are considered essential information to describe a bibliographic item (Bawden and Robinson 2012, 112). The library of Alexandria was not just a centre of scholarship and a statement of grandeur, it was also an attempt to Hellenize the newly conquered territories (Lerner 2002, 26). Judging by the high standing that Greek culture held among the Romans, the project appears to have succeeded. The collections in Roman libraries (both public and private) were in fact typically subdivided by works in Greek and those in Latin. In Imperial Rome, libraries were both centres of knowledge as well as power structures, with hierarchies, political appointments and sometimes direct control of the kind of materials made available to the public. This became extreme in the case of Christian writings which were banished by most emperors before Constantine’s rule (306-337 AD) but were to become the predominant texts in later centuries when the opposite phenomenon took place (Greek and Roman classics were suppressed or marginalised). The catalogue reflected this epistemological shift and was informed by the Institutiones the work by 6th-century scholar and monk Cassiodorus. It became the book list for monastic and cathedral schools and the basis for the curriculum in medieval universities: the Bible and the commentaries of the Church Fathers constituted the core texts, “grammar and history, science and mathematics contributed to the appreciation of God’s creation” (Lerner 2002, 39). As a result, in Medieval time catalogues were usually shelf lists or inventories compiled to record holdings (and donations) and they listed books in order of importance starting with the scripture and ending with secular literature (Lerner 2002, 94). They did not normally indicate the exact location of the book as they were not intended for readers’ use. The most important innovation of the medieval period were union catalogues, i.e. lists that indicated the holdings of several libraries (usually monastic ones and in relative proximity from one another). They emerged in different European countries and allowed the preservation and circulation of texts through loans for copying (Lerner 2002, 95). Modern union catalogues are today online databases: the largest is WorldCat, which brings together over 10,000 libraries worldwide, but national (and international) versions are now common in many countries. The curriculum of the liberal arts in medieval universities in Europe followed the blueprint of the monastic libraries: they comprised the trivium (grammar, rhetoric and dialectic) and the quadrivium (arithmetic, geometry, music and astronomy). The subject range later expanded to include theology, medicine and law, yet central university libraries, with few exceptions (like Paris), were slow to be organised, and catalogues did not develop further than the book list, arranged alphabetically or by author with mere location symbols, although local classification systems were occasionally devised (Harris 1995, 110-115). This heritage is still visible in many libraries in old university colleges where in-house classification is very common and even hand-written classified shelf lists still in use. From 14th century Italy, the renewed interest in classical works initiated by Humanism gave rise to a book hunt that during the Renaissance brought back to life many classics hidden in private collections and monasteries. Collectors, scholars and royals, commissioned librarians and bookmen to take stock of their libraries and replenish them; catalogues and book lists, old and new, became precious tools for this pursuit. The new scholarship and literary sensibility generated by this epochal shift, was aided by the moveable print that from the mid-15th century Germany spread rapidly throughout Europe. The increased amount of publications (including translations in the now stronger national languages) not only redressed the balance between religious and secular works available, but created the need to manage the flood of bibliographic information (Lerner 2002, 97-102). New classification schemes were put forward by Francis Bacon in Britain and Gottfried von Leibnitz in Germany. The Swiss scholar Conrad Gessner pioneered ideas of selection, arrangement and indexing in his influential Bibiotheca Universalis (1545), the first modern bibliography which, despite its title, managed to include an estimated 25% of works available at the time (Bawden and Robinson 2012, 27). The printed library catalogue was not a real advancement on the codex format used in previous centuries as, once published, it was already out of date. It was therefore soon dismissed or slow to appear. As Campbell explains (2013, 238-239), this prompted two innovations: one was the slip catalogue, produced by William Croswell for the Library at Harvard College in the 19th century. The idea, already mentioned by Gessner, consisted in cutting up the printed catalogue from 1790 into slips, and pasting them into blank volumes called guard-books, with spaces left between them for new entries. The other innovation was the card catalogue, which made its appearance at the end of the 18th century when playing cards were used by Edward Gibbon to catalogue his library. Blank cards became common in the 1870s partly following Melvil Dewey’s innovations in classification and professionalization of librarianship, which included fittings and stationery. Card catalogues consist of an author catalogue and a subject catalogue, arranged in alphabetical order (sometimes as one physical object sometimes as two separate ones). They were widely adopted by university libraries and public libraries worldwide and in some they are still in use. In modern times the ever increasing size of the collections and the growth of user numbers forced libraries to rethink their approach to the organisation of and access to knowledge. The need for standardisation of cataloguing practices became increasingly pressing and some important efforts developed in the 18th and 19th centuries informed modern practices, among them the Instruction pour procéder à la confection du catalogue de chacune des bibliothèques issued in Paris in 1791 for the libraries taken over during the Revolution, Antonio Panizzi’s “91 Rules” devised in the 1830 for the printed book collection of the British Museum, the 1908 “Prussian instructions” adopted in the German-speaking countries (Wedgeworth 1993, 177-178). Much as Thomas Hyde’s 17th-century catalogue of the Bodleian Library in Oxford was prompted by his concern to help students find resources, Panizzi’s efforts at the British Museum was a further step forward: he aimed at presenting readers not just with what they were looking for, but also with new information (further editions, related versions, translations). This shift prompted librarians to think about principles and methodologies to organise the catalogue in a way that suited users’ needs and a century after the field was teaming with initiatives to standardize cataloguing rules (Faulkner 2014, 104-106). Their shortcomings from an ethical point of view, has also been pointed out, albeit by a minority and progress has been slow. If Dewey’s system and world view was accused of ‘Anglo-Saxonism’, a kind of Wasp supremacism, cultural bias in the Library of Congress subject headings used worldwide is still rife. The recent student and faculty campaign to de-colonise the university curriculum has started to involve libraries, and initiatives to de-colonise the catalogue as well as the collections are underway. The civilizations of Mesopotamia are normally regarded as the groundbreaking innovators of Western culture in this area: they invented writing (the cuneiform system in ca.3200 BC) and a clever way to record documents (on clay tablets), among which important sets of laws (the Hammurabi code, ca. 1700 BC) and early works of literature (The Epic of Gilgamesh, ca.2100 BC) have survived today. The library has indeed started to move some of its collections to a storage facility in a nearby town where access is for staff only. Readers can request items via the online catalogue and collect them the next day (or so), but cannot borrow them (see: http://www.lib.cam.ac.uk/about-library/librarystoragefacility). Similar arrangements exist in many university libraries, especially those with multiple campuses (and libraries). Space is especially problematic in old universities, where safe storage and preservation of rare materials is an additional issue. Aside from newspapers and periodicals, available in reading rooms, it was not until the end of the 19th century that libraries in Britain and the UK, for instance, started to allow the public near the bookshelves (Campbell 2013, 238). In many libraries in continental Europe the ‘sacrality’ of the text and the almost hieratic function of the librarian has lasted much longer, partly due to issues of preservation (especially of precious incunabula, manuscripts or other rare books) and the awkwardness of access (in buildings not usually designed to hold books). Many of the tablets also present a kind of ‘library stamp’ which identifies the items as belonging to his palace (Taylor 2018). The library held around 10,000 works (consisting of ca. 30,000 tablets). His book Le dècor de bibliotéque was published in French in 1972 and translated by David Gerard as The Pictorial Library. Mural Decoration in Libraries, Oxford: Clarendon Press, 1981. See Hobson (1983) and Campbell (2013, 29 and 192). The library of Alexandria was founded during Ptolemy’s kingdom (285-246 BC), the Greek dynasty that had come to rule Egypt and other parts of the Mediterranean. By this time, books were written in ink on papyrus rolls and it is estimated that at its height the library must have held up to 400 thousand scrolls (Lerner 2002, 25-29). It was not until the invention of the printing press (1455) that bibliographies in the modern sense were developed. The need to record each individual copy of a work was superseded by the availability of multiple identical copies of the same texts. See below for more details. Not much is known about their classification systems, as for catalogues, these were of two types: the classified catalogue and the bibliographical catalogue arranged by author, with titles, first lines of works, and sometimes information about the author (Harris 1995, 65-66). Among the earliest surviving English library lists, for example, the one from Christ Church Canterbury (c.1170) presents a series of small letters and symbols which correspond with symbols on the first leaf of each book. This made possible to identify which book was which, and, maybe, where it was located (Clanchy 2013, 160). In some cases, colour-coding as well as letters was adopted to identify the subject of the books and the system had some success. For example in a monastery in Saxony red was for theology, green for medicine and black for law. In the early 13th century the bibliophile Richard de Fournival added letters (capitals, minuscule, uncial), a system which allowed for many distinctions. A century later the library of the Sorbonne University was organised on similar principles (Lerner 2002, 95). For example the COPAC catalogue brings together over 100 UK and Ireland’s national libraries, university libraries and specialist research libraries; in Italy the OPAC SBN catalogue covers about 6000 institutions nationwide (national, university and public libraries, as well as libraries of major private foundations and collections). See: https://www.worldcat.org/; https://copac.jisc.ac.uk; https://opac.sbn.it. They were formally established from the 11th century in Italy, France, England and Spain. By the 15th century many existed included elsewhere in Europe (Portugal, Poland, Austria, and Scotland, among others). This is the case of the college library I am currently employed at, where the hand-written registers (30 heavy folders) are kept up-to-date mainly for the annual stock-check, even though the software (SirsiDynix), introduced in 2000, could be used for this purpose. The publication of national library catalogues in Europe first appeared at the end of the 19th century: the author catalogue of the Bibliotèque national de France appeared in 1897 and the first general catalogue of the British Museum Library began publication in 1881. The slip catalogue, occupying a large room in its multivolume folio size, can still be used in the Cambridge University Library, and card catalogues are still in use is some old colleges in Oxbridge, although they are not always kept up to date. The 1961 ‘Paris principles’ were followed in the same decade by the International Standard Bibliographic Description (ISBD) and the Anglo-American Cataloguing Rules (AACR), later updated. For the Library of Congress see for example Berman and Moore (2013). A recent initiative promoted by Cambridge librarians in November 2018 has discussed various ongoing initiatives, among them a revision of classification systems to be more inclusive (English Faculty), acquiring collections in minority languages, countercultural publications and experimenting with new ways of cataloguing these materials (Latin American Collections, University Library). See https://twitter.com/hashtag/EFLdecolonise?src=hash. The expression was first used by Tim Berners-Lee, the creator of the web itself, to refer to the system of linking information (metadata) with rules to understand them in order to generate new data (like automated web services). See his views on https://www.w3.org/DesignIssues/LinkedData.html. To some it is an outright flop. See for example Sinclair Target’s article ‘Whatever happened to the Semantic Web’, May 2018, https://twobithistory.org/2018/05/27/semantic-web.html (accessed 2.1.19). For a survey of the many challenges faced by libraries trying to promote linked data project see Ali and Noshema (2018). Their introduction is fairly recent and little research has been done to evaluate the reception of discovery tools by users, but some surveys conducted in universities concluded that the preferences were mixed. See Wells (2016) and Antonucci and Clapp (2014). The introduction in January 2018 of one such catalogues at Cambridge UL and related faculty and college libraries has been dubbed ‘the great migration’, for its inevitable problems of standardisation of practice, glitches, and disruptions. Jorge Luis Borges, ‘The Library of Babel’, trans. by James E. Irby, Penguin, 1964, p. 78. Originally published in 1941 as ‘La biblioteca de Babel’. Antonucci, Carl, and Sharon Clapp (2014). ‘The University Library Evolution. Book Warehouse or Platform for Student Research and Learning: Planning for the Future at the Elihu Burritt Library, Central Connecticut State University’. in Eden, B.L., Leading the 21st-century academic library: successful strategies for envisioning and realizing preferred futures. Lanham: Rowman & Littlefield Publishers, 57-79. Bawden, David, and Lyn Robinson (2012). Introduction to information science. London: Facet Publishing. Berman, Sanford, and Eric Moon (2013). Prejudices and antipathies: A tract on the LC subject heads concerning people. Jefferson, North Carolina: McFarland. Campbell, James W.P. (2013). The Library. A World History. London: Thames and Hudson. Clanchy, Michael T. (2013), From Memory to Written Record. England 1066 to 1307. 3rd ed. Oxford: Wiley-Blackwell. Faulkner, Autumn (2015). ‘Serendipity and the Semantic Web: Catalogs of the Future’. in Eden, B.L., Leading the 21st-century academic library: successful strategies for envisioning and realizing preferred futures. Lanham: Rowman & Littlefield Publishers, 97-118. Fons, Ted (2016). ‘Improving Web Visibility: Into the Hands of Readers’. Library Technology Reports 52 (5): 5-32. Hanna, Ralph (2017), ‘Manuscript catalogue and book history’. The Library 18 (1): 45-61. Harris, Michael H. (1995). History of Libraries in the Western World. 4th ed. Lanham, Maryland: The Scarecrow Press. Hobson, Anthony (1983). ‘ANDRÉ MASSON.The Pictorial Catalogue. Mural Decoration in Libraries’(Book Review). The Library 6-5 (1): 82–83. Husayn, Muhammad A. (1970). Origins of the Book. Egypt’s contribution to the development of the book from papyrus to codex. Leipzig: Edition Leipzig. Infan, Ali and Fatima W Nosheen (2018). ‘Linked data initiatives in libraries and information centres: a systematic review’. The Electronic Library 36 (5): 925-937. Lerner, Fred A. (2002). The story of libraries: from the invention of writing to the computer age. London: Continuum. Manguel, Alberto (2008). The library at night. New Haven, CT: Yale University Press. Norris, Doris M. (1939). A history of cataloguing and cataloguing methods 1100-1850. With an introductory survey of ancient times. London: Grafton & Co.
Wedgeworth, Robert (1993). World Encyclopaedia of Library and Information Services. 3rd ed. Chicago: ALA.
Wells, David (2016). ‘Library discovery systems and their users: A case study from Curtin University library’. Australian Academic & Research Libraries 47 (2): 92-105. 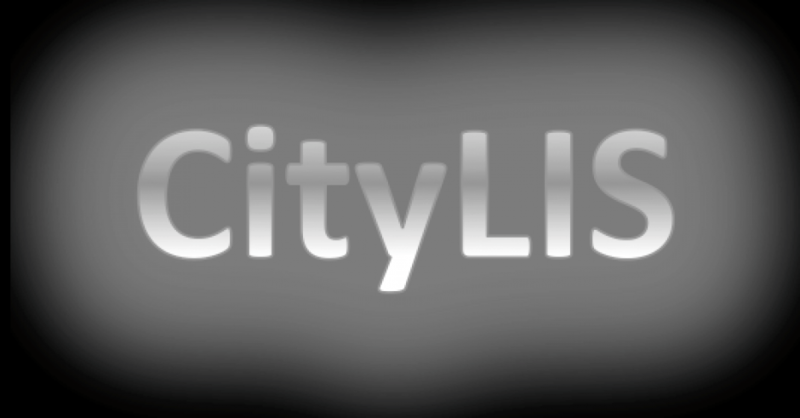 Posted in CityLIS Writes	| Tagged #catalogue, CityLIS, Library and Information Science	| Comments Off on How has the catalogue developed from the ancient world until the 21st Century? What current questions does cataloguing face? Is information governance essential for good information management? …seeks to encourage behaviours in people and institutions that foster an information-centred organizational culture. The focus is on the body of information available to an institution, complementing information management’s more traditional focus on individual records and items of information. Taking the above literature into account, for the purposes of this essay I will treat information governance as the practices and policies (including legal requirements) that govern and control how people use information in general, particularly in businesses and public sector organisations. I feel that to focus simply on corporate approaches to information and its potential as a business asset ignores the importance of information governance in organisations such as the National Health Service, which places a high value on governing information in a way that maintains confidentiality and reduces risks to patients particularly as technological changes make patient information more accessible. In the UK, legal requirements involve legislation such as the European Union General Data Protection Regulation 2018 (GDPR), which governs how organisations may store and use data and defines the rights of data subjects (the people whom the data is about), and the Freedom of Information Act 2000 (FOI) which gives the public right of access to information held by public authorities such as government departments or the NHS. Information management, meanwhile, will be treated as the practices used to manage a particular collection of information. This essay will then explore the relationship between information governance and information management, and whether information governance is essential for good information management. Effective management and organisation of information contributes to good information governance by making the information easier to access and, simultaneously, information governance requirements provide a good incentive for organisations to manage their information well. If information and data is well managed and organised, it is easier to retrieve for information governance and compliance purposes. For example, in their study of information governance in English local authorities, Shepherd, Stevenson and Flinn found that FOI requests “put a focus on the ability of the authority to retrieve information from its systems”, with interviewees commenting that “better records management will help you find the information more quickly” and that it saves both time and money. We see that the legal requirement to comply with FOI requests can be easier met if information is well managed and organised, and so easy to retrieve and access. While good information management and records management is useful to organisations for many other reasons besides information governance, this case suggests that information governance contributes to good information management by encouraging good practice and benefits from this good practice in turn. …the volume of Big Data relative to its traditional counterpart, as well as the high velocity with which it arrives, dramatically increases the risk of irretrievability and the resulting importance of information governance of data storage. To address this risk, an organization should implement consistent storage practices to ensure that instead of being siloed, disorganized or inaccessible, all business data is organized according to a company standard, rendering it catalogued and retrievable. Metadata… is really how we keep any kind of control over the data we deal with. If a set of data comprising a document can be assigned the correct metadata, we ‘have a handle on it’ – we have controlled the routes by which it may be edited, stored, retrieved, archived or deleted. So, as simple a process as providing a selection of potentially useful metadata from which to choose at a data input stage can reduce inaccuracy. In turn, information governance principles and policies can contribute to good information management by encouraging organisations to dispose of information that is unlikely to be required again. By following an appropriate retention schedule, organisations can reduce the amount of information in their systems: this makes the remaining information easier to find and organise, reduces storage costs, and reduces the chance that “somewhere in that mountain of data an organization stores is a piece of information that represents a significant legal liability”. This also works in reverse, as if information is well organised and managed, it is much easier to find the information that needs to be disposed of. A digital retention schedule should consider not just how long information should be retained for and how it should be disposed of, but also the ways in which it is stored throughout its life cycle and how it can be ensured that the information remains “accessible, understandable and usable” throughout its life cycle. There is not much point in keeping the information in storage if it is inaccessible should it be required. It should comply with legal requirements – for example, under the GDPR, data controllers and processors “shall implement appropriate technical and organisational measures to ensure a level of security appropriate to the risk” posed to the data while in storage. Legal requirements such as GDPR- and FOI-compliance add another incentive for businesses and organisations to practice good information governance and management: they could face heavy penalties if they are found not to do so. For example, a company that breaches the GDPR may face fines of up to €20 million or 4% of annual global turnover (whichever is higher), depending on the specific articles of the Regulation breached. Clearly, non-compliance represents a large risk for businesses. Information governance can help to ensure compliance, and as seen above this is made simpler if good information management strategies are in place, such as effective information organisation and retention policies. Thus, information governance and information management feed into each other, and good practice in one of these areas encourages it in the other. As well as helping companies and organisations to avoid legal issues and penalties for non-compliance with information-related legislation, information governance policies can also contribute to good information management practice by encouraging ethical practice, as there is some overlap between professional ethics principles and some of these laws and regulations. Professional bodies in the information profession have published codes of ethics or ethical standards that their members are expected to follow. For example, the CILIP Ethical Principles include a commitment to upholding human rights and intellectual freedom. These human rights include the right to privacy, identified as a human right in both the UN Universal Declaration on Human Rights and the European Convention for the Protection of Human Rights and Fundamental Freedoms. Internationally, the IFLA Code of Ethics for Librarians and Other Information Workers states that: “Librarians and other information workers respect personal privacy, and the protection of personal data, necessarily shared between individuals and institutions.” People could become very distressed or even be put at risk if their personal information falls into the wrong hands, or becomes publicly available. Custodians of information have a responsibility, then, to make sure that any sensitive or personal data is protected and used appropriately. In the National Health Service, the ‘Caldicott Principles’ (named after Dame Fiona Caldicott, who chaired the review panel in 1997) were developed to ensure that identifying information about patients is handled appropriately. This illustrates the way in which the NHS responds to its responsibilities with regards to patients’ information, particularly important to reassure patients that their information, including sensitive information such as medical records, will not be misused. Just as a soldier may be held to account for accepting an unlawful order, so may the information security professional be held to account for acceding to management requests if they would violate professional ethics. …(f) processed in a manner that ensures appropriate security of the personal data, including protection against unauthorised or unlawful processing and against accidental loss, destruction or damage, using appropriate technical or organisational measures (‘integrity and confidentiality’). As Maclennan puts it, “prevention rather than cure is what we must aim for, because breaches of security are irreversible, as regards the data that are lost, leaked or damaged.” If a data breach does occur and there may be a risk to the “rights and freedoms” of data subjects, data processors are obligated to inform the supervisory authorities and the data subjects as soon as possible, giving details of the breach and how to mitigate any potential negative consequences. Arguably, this is an ethical obligation as well as legal, as people have a right to know what is happening to the personal data they have chosen to share. By ensuring compliance with data protection and security legislation like the GDPR, information governance therefore contributes to ethical information management. Likewise, by following codes of professional ethics such as protecting privacy and personal data, information workers may well find themselves practicing information governance and complying with the relevant laws. Again, we see that the two are intertwined. In conclusion, then, I would argue that information governance is not just essential to good information management, but that information management is also essential to good information governance. In a business or organisation that successfully governs its information, that information must also be well managed and organised. If called upon to prove compliance with information-related legislation (for example, by effectively answering a FOI request) or to produce an information risk assessment document, an information or data manager must be able to locate all of the relevant data and information. If this has been disposed of, they should be able to provide a sensible retention and disposal policy that explains why. An information professional who believes in protecting the privacy and personal data of the users they work for should take into consideration legislation such as GDPR, and assessing the risk of data security breaches. Just as the concepts of information management and information governance are difficult to separate, it is hard to see how one could possibly be successfully put into practice without considering and implementing the demands of the other. Posted in CityLIS Writes	| Tagged #freedomofinformation, #GDPR, #informationgovernance, #informationmanagement, #informationscience	| Comments Off on Is information governance essential for good information management? According to the International Federation of Library Associates (IFLA) “librarianship is, in its very essence, an ethical activity” (IFLA) Yet in the changing landscape of new digital technologies the ethical views that librarians have held and protected for decades are being tested. This essay aims to specifically explore how the use, retrieval and management of e-books and e-journals is challenging values in the academic library and information world. To do so this essay will first show how e-books and e-journals have grown in popularity in recent years and their significance to the academic community. This essay will then question if the access that electronic publishing provides is fair and equal for the diverse variety of individuals in academia by considering functionality and the Open Access (OA) movement. However, e-books and e-journals cannot be viewed in a vacuum. How researchers find resources has also changed and users are likely to use both online library catalogues and a variety of search engines to find information. This essay will consider the problems of relying on search engines for access to electronic academic writing due to their opaque, commercialised nature and whether the transformation of library catalogues to mimic their Web 2.0 counterparts compromises the ethical dedication to intellectual freedom. Lastly, privacy and the protection of personal data have increasingly been in the spotlight in recent times. As electronic resources, books and journals have lost their anonymity and the data they provide for universities and hosting platforms has grown in value. I hope to show how libraries and universities use the information generated by e-books and e-journals and how legislation like GDPR interacts with libraries ethical standards. In doing this this essay will show some of the ethical dilemmas that LIS professionals will have to overcome in offering a 21st Century service. E-books and e-journals are becoming more prevalent in academic life. In 2009 the JISC national e-books observatory project undertook research to explore how e-books were being used in universities and colleges across the UK. The report examined 120 universities and 52,000 academics and students and found that 65% of teaching staff and students had used an e-book to support their work, study or leisure purposes- concluding e-books are now part of mainstream education (JISC 5). For journals, the first e-journal, ‘New Horizons in Adult Education’, was published in 1987 and since then the trend for scholarly online journals has increased exponentially. In 2000 the Association of Research Libraries’ Directory of Electronic Journals, Newsletters and Academic Discussion listed the number of e-journals as 3,500 (Kim, Durr and Hawamdeh 131) and today on one journal platform, JSTOR, 12 million articles are available on 2,600 journals (JSTOR). Clearly, e-literature is a growing repository of accessible, online academic information that helps libraries to offer an extensive collection of academic material that would be difficult to supply in hardcopy; but the benefits of digital literature stretch far beyond offering a “safety valve” for high demand hardcopy material (JISC 5). The right to “Seek, receive and impart information and ideas in any media and regardless of frontiers” has been inscribed by Article 19 in the United Nations Declaration of Human Rights (IFLA). The ability to access information and form ideas independently is emphatically linked to democracy and as information custodians LIS professionals in all sectors strive to “champion the rights of access for our users” (Losinski). The LIS community upholds information access as their “core mission” (IFLA) and establish this in their codes of ethics, for example the IFLA and CILIP Ethics Review. Now the introduction of e-books and journals has made this mission more accomplishable for typically disenfranchised people in education. For example, as an institution based solely on distance learning the Open University offers flexibility of study for the majority of its students which are often “in full time employment or …juggling family commitments” (Grace and Needham 16). Whereas previously it had been a challenge to offer “a library experience which is at least equivalent to that of a conventional university” the advent of e-books and e-journals has meant that students that cannot commit to full time study now have the option to access relevant academic material and pursue careers previously unreachable to them. Furthermore, “e-books have the potential to meet a wide variety of accessibility needs” (McNaught and Alexander 35). The functions of changing text size and colour, text-to-speech support and text description of images has been opened up by technology and can transform access for differently abled users. Therefore by improving the resources available to those typically outside the mainstream, by digitising collections and purchasing e-literature, libraries can “[support] democracy by providing access to information in the broadest possible context” (Losinski). However, some argue that “tech savviness can be an accessibility hurdle” (Yelton) and that some platforms are “barely serviceable” (JISC 6). According to research for the Organisation for Economic Co-operation and Development “low income is the single most important factor for non-access to a computer and to the internet” and those aged 65-74 are four times more likely to have never used a computer (Montagnier and Wirthmann 4). By increasing the amount of materials only accessible via the internet libraries may be further marginalising those on the fringe of society. The advent of digital books and journals has also enabled the sharing of research through the Open Access (OA) movement. “Open access means peer-reviewed academic work that is free to read online and that anybody can distribute and reuse, with some restrictions” (Eve 1). Whereas “[o]pen access was not truly feasible in times before [internet] technology” (Eve 2), due to the costs of publishing and distributing hardcopy material, hosting research in journals online has removed the majority of these costs and databases such as the Directory of Open Access Journals now have 10,000 journals in their collection and worldwide there are 25,000 Open Access Peer reviewed journals (Harnad). In 2012 the Finch Report recommended OA should be adopted by all UK Higher Education and Research councils with two standard routes to enable this- Gold OA and Green OA. The government adopted these recommendations and dedicated to expanding OA research in the public sector (“Open Access Research”). Proponents of the OA movement argue that if “access to important arguments is limited public reason is…impoverished” (Parker 2). OA benefits authors and researchers by making research available so that the academic community can increase the speed of research by increasing their knowledge of projects, preventing duplication of effort and encouraging transparency in the research community. However, Open Access is controversial. The government recommends the Gold OA standard of publication which functions as institutions or authors, through author processing charges, pay academic journals to host their papers. This model potentially discriminates against poorer institutions and independent researchers who cannot afford to pay the publication fees demanded, “limiting the freedom of open access to be truly innovative and open” (Parker 3). Therefore, moving to Gold OA potentially entrenches inequality of access, blocking poorer researchers from publishing through paywalls instead of from reading academic material. As we can see e-books and e-journals have the potential to address issues of democracy and intellectual freedom but there are still hurdles to be overcome which librarians must contend with. Whether published through OA or through traditional means students and academics still need to find the e-books and e-journals they need to use and more and more often users are turning to search engines to do this. Bawden and Brophy argue that “web search engines…have created a generation of searchers who are choosing the simplicity of the search engines on the open free web over the perceived complexity of library catalogues” (Bawden and Brophy 499). This argument can be supported by Zipf’s principle of least effort (Cancho and Sole 789) and the research of Simon who argued that when searching humans take the first acceptable option even if it is not the optimum, they “satisfice” (Agosto, 17). Therefore for searchers the intuitive nature of search engines, their accessibility and coverage means that when looking for material ‘Googling’ seems like the best option. In order to retrieve relevant information search engines must do two things; firstly, they index webpages and other media on the internet and, secondly, when a search is made via the search engine interface they use algorithms to rank results to bring back the most relevant material for the searcher. For relevance ranking search engines usually use the position and frequency of key words, the popularity of a page and the amount of times a page has been linked to by other pages as part of their ranking criteria. However, with competition between search engines and attempts by developers to boost pages to the top of a results page algorithms are closely guarded and frequently changed (Introna and Nissenbaum 174). Users generally tend to trust the results brought back by search engines (Pan et al. 811) but is this wise? The neutrality thesis states that technology is neutral and only good or bad as used by humans but this essay would argue that “technological artefacts are not morally neutral but value laden” (Brey 43). While search engine algorithms may behave autonomously they have been shaped by the society around them and in turn shape that society, promoting or demoting different values (Brey 43). Halavais (122-123) gives the example of the word ‘Jew’ being put into Google in 2004 and bringing back anti-Semitic pages; the algorithm had adapted to the popularity of these pages and anti-Semitic values had become embedded in the technology. In addition to this, LIS professions must keep in mind the commercial aspect of search engines. It is possible to buy rankings on search engines like Google and Yahoo! and even buy words- Amazon had a deal with Yahoo! where if the word ‘book’ is included in a search an Amazon result will appear in the first page (Introna and Nissenbaum 175). With the trust that users have in the first results and only 5% of people clicking through to the second page (Chitika Online Advertising Network) these functions can clearly influence users. The lack of transparency around these practices has lead Introna and Nissenbaum to argue that “the conditions needed for a marketplace to function in a democratic and efficient way are simply not met in the case of search engines” (Introna and Nissenbaum 176). Yet, the JISC study found that “More than half of users said that the last e-book they used was provided courtesy of their university library” (JISC 5). While individuals may favour search engines library catalogues offer superior results in comparison to Google (Bawden and Brophy 498). The abundance of low quality information that Google searching brings back can be described as ‘infobesity’ – “a junk information diet consisting of overwhelming amounts of low quality material that is hard to digest and leads to research of low quality” (Bell B15). Bell argues that library catalogues and specialised databases can combat this poor diet by offering ‘nutritious information’ (Bell B15). However, in order to appeal to users and sift through vast amounts of material “search engine technology is becoming widely adopted in library catalogues” (Kinstler 33). Like search engines, library catalogues are likely to use factors like keyword weighting, popularity, citations and material availability to rate results and other features to make catalogues similar to search engines (Kinstler 29-32). And in 2011 11% of UK Universities offered recommender systems as part of their catalogue, a function that attempts to match users with material they believe would help them based on what they have looked at, and that number has likely increased in the interim years (Wakeling et al. 134). Yet, people prefer there to be a differentiation between catalogues and search engines and value a neutral space to discover knowledge. When presented with the option for recommendations and interaction with the catalogue “both students and faculty members made a strong case for the neutrality of the catalogue, accepting only descriptive and non-judgmental information like [content] tables” (Christensen 6). The unknown factors of ranking and the lack of transparency was possibly playing on the minds of users and they knew themselves the risks of narrowing discovery. It would seem that in the balance between facilitating users and retrieving information e-books and journals are causing searching to become encumbered by politics so that we risk impeding the intellectual freedom of academic research. However, Yelton references the American context of e-book use. In Europe the legal landscape has been adapting recently to take into account these new risks to our personal information. In May 2018 the European Union brought into force the General Data Protection Regulation (GDPR) which was incorporated into the UK Data Protection Act. GDPR aims to prioritise individual’s rights by increasing the transparency of what companies do with our information, giving people the ‘right to be forgotten’ and increasing the penalty for compliance abuse to 10 million euros or two percent of a company’s turnover (Information Commissioner’s Office). However, even if companies are compliant this doesn’t mean they are trusted by users. Users will give away their details while still thinking they are being abused in a phenomenon known as the “privacy paradox” (The Royal Society 7). This could be seen in the aftermath of the Facebook Cambridge Analytica scandal- user numbers did not fall as predicted and people continued to use the service with only 5% of users deleting their accounts and 6% intending to (Tan). However, Facebook has been damaged by this and users do not trust the platform with their data. Therefore, as a profession, librarians cannot rely on legislation to safeguard privacy or the reputation of libraries. Floridi agrees stating that ethical consideration of technology is especially relevant in Europe. Legislation paints with broad strokes and technology changes so quickly that legalities are always chasing to catch up; no legislation can cover all eventualities therefore we need to constantly debate what is the best or most ethical decision within the law. Floridi calls these post-compliance ethical decisions “soft ethics” (Floridi 163-167). Patrons will want a service and compromise their digital safety in its pursuit so librarians have to be ethically vigilant. The platforms that we chose to accommodate the wealth of knowledge that e-literature contains have a real impact on the lives of users therefore LIS professional must be careful on behalf of their users. In conclusion, e-books and e-journals “make us choose…which values to advance and which to sacrifice. We’re making these value choices every time we sign a contract” (Yelton). E-books and e-journals are now a fundamental part of academic life; they are changing the way users approach libraries and their ways of retrieving and accessing information and this essay has shown how the decisions LIS professions make impact ethically on this process. In widening access to information for a diverse range of individuals and by facilitating the Open Access movement electronic publishing has increased accessibility for some users which allows more engagement with education and research and benefits for society such as democracy and equality. However, in striving to progress in a digital direction information workers must ensure that the costs of access to resources and publishing do not become prohibitive. Furthermore, in searching for e-books and e-journals this essay has shown that search engines are not transparent in their operations which impacts on what searchers can see and potentially how they see the world. In adapting to a world where user’s expect Google capabilities libraries must ensure that they maintain the neutrality of the catalogue and do not become politicised and commercialised spaces. Lastly, when students and researchers do chose to use the library catalogue librarians must ensure that the privacy and protection of data is foremost in platform negotiations. As shown above legislation can only protect users in as much as service providers are willing to engage with it and if we are to maintain the trust of users in this digital age LIS must constantly probe beyond legal issues and into the ethical considerations of all the choices available. Continuing to champion the rights of users while offering up to date services is a complex issue as this essay has shown for one particular facet of technology. But by being aware of the ethical issues and prioritising them in careful thought and planning e-books and e-journals can continue to expand as an essential part of the modern library. Agusto, Denise E. ,“Bounded rationality and satisficing in young people’s web-based decision-making.” Journal of the American Society for Information Science and Technology, 53.1 (2002): 16-27. Alter, Alexandra. “Your E-Book Is Reading You.” The Wall Street Journal 19th July 2012. www.wsj.com/articles/SB10001424052702304870304577490950051438304. Accessed 30/12/2018. Baker, Hannah. “UWE becomes first UK University to use technology to track students’ mental health.” BristolLive 14th September 2018. www.bristolpost.co.uk/news/business/uwe-becomes-first-uk-university-2005441. Accessed 30/12/2018. Bawden, David and Brophy, Jan. “Is Google enough? Comparison of an internet search engine with academic library resources.” Aslib Proceedings 57.6 (2005): 498-513. Emerald Insight. Accessed 29/12/2018. Bell, Stephen J. “The Infodiet: How Libraries can Offer an Appetizing Alternative to Google.” Chronicle of Higher Information 50.24 (2004): B15-B15. EBESCOhost. Accessed 30/12/2018. Brey, Philip. “Values in technology and disclosive computer ethics.” The Cambridge Handbook of Information and Computer Ethics. Ed Luciano Floridi. Cambridge: Cambridge University Press, 2010. Caldwell-Stone, Deborah. “A Digital Dilemma: Ebooks and Users’ Rights.” American Libraries 29th May 2012. americanlibrariesmagazine.org/2012/05/29/a-digital-dilemma-ebooks-and-users-rights/. Accessed 30/12/2018. Cancho, Ramon Ferrer I and Sole, Ricard V. “Least effort and the origins of scaling in human language.” Proceedings of the National Academy of Sciences of the United States of America 100.3 (2003): 788-791. PMC. Accessed 29/12/2018. Chitika Online Advertising Network. “The Value of Google Result Positioning.” chitika.com/2013/06/07/the-value-of-google-result-positioning-2/. 6th July 2013. Web. Accessed 30/12/2018. Christensen, Anne. “Next-generation catalogues: what do users think?” Catalogue 2.0: The future of the library catalogue. Ed. Sally Chambers. Facet, 2018. eBook Collection (Cambridge University Press) 17-36. Accessed 28/12/2018. City, University of London. “About Library Services: Personal Data and Online Resources.” www.city.ac.uk/library/about/policies/personal-data-and-online-resources. Web. Accessed 30/12/2018. CILIP “Ethics Review Final Report to Board”. archive.cilip.org.uk/how-cilip-works/board-meetings-agm/board-meetings/20-september-2018-board-meeting. September 2018. Web. Accessed 29/12/2018. Eve, Martin Paul. Open Access and the humanities: contexts, controversies and the future. Cambridge: Cambridge University Press, 2014. Floridi, Luciano. “Soft Ethics: It’s application to the General Data Protection Regulation and It’s Dual Advantage.” Philosophy and Technology 31.2 (2018): 163-167. Springer Link. Accesed 30/12/2018. Grace, Claire and Needham, Gill. “Ebooks and the distance learner.” Ebooks in Education: Realising the Vision. Ed. Hazel Woodward. Ubiquity Press, 2014. 15-20. Halavais, Alexander M Campbell. Search Engine Society. Cambridge: Polity, 2009. Harnad, Steven. “Why the UK Should Not Heed the Finch Report.” LSE Impact Blog. 4/7/2012. http://blogs.lse.ac.uk/impactofsocialsciences/2012/07/04/why-the-uk-should-not-heed-the-finch-report/. Accessed 29/12/2018. IFLA. “IFLA Code of Ethics for Librarians and other Information Workers.” www.ifla.org/publications/node/11092. 27th December 2016. Accessed 29/12/2018. Information Commissioners Office. “Guide to the General Data Protection Regulation (GDPR)”. ico.org.uk/for-organisations/guide-to-data-protection/guide-to-the-general-data-protection-regulation-gdpr/. Web. Accessed 30/12/2018. Introna, Lucas D. and Nissenbaum, Helen. “Shaping the Web: Why the Politics of Search Engines Matters.” The Information Society 16.3 (2000): 169-185. Taylor & Francis Online. Accessed 29/12/2018. JISC Collection. “JISC National e-books observatory project: Key findings and recommendations. Final Report” http://observatory.jiscebooks.org/reports/jisc-national-e-books-observatory-project-key-findings-and-recommendations/ November 2009. Web. Accessed 29/12/2018. Jutting, Chris. “Universities are tracking their students. Is it clever or creepy?” The Guardian, 3rd August 2016. www.theguardian.com/higher-education-network/2016/aug/03/learning-analytics-universities-data-track-students. Accessed 30/12/2018. JSTOR. “What’s in JSTOR?” about.jstor.org/whats-in-jstor/. Web. Accessed 28/12/2018. Kim, Jeonghyun, Durr, Angel and Hawamdeh, Suliman. “Digital libraries and scholarly information: technology, market, users and usage.” Digital Libraries and information access: research perspectives. Ed. G.G Chowdhury and Schubert Foo. London: Facet, 2012. 129-142. Kinstler, Till. “Making search work for the user”. Catalogue 2.0: The future of the library catalogue. Ed. Sally Chambers. Facet, 2018. eBook Collection (Cambridge University Press) 17-36. Accessed 28/12/2018. Losinkski, Patrick. “A Call for Vigilance on the Ebook Front.” Library Journal 137.14 (2012). ProQuest. Accessed 29/12/2018. McNaught, Alistair and Alexander, Huw. “Ebooks and Accessibility.” Ebooks in Education: Realising the Vision. Ed. Hazel Woodward. Ubiquity Press, 2014. 35-50. Montagnier, Pierre and Wirthmann, Albrecht. “Digital Divide: From Computer Access to Online Activities-A Micro Data Analysis.” OECD Digital Economy Papers 189 (2011): 1-72. ProQuest. Accessed 29/12/2018. Higher Education Funding Council for England. “Open Access Research.” webarchive.nationalarchives.gov.uk/20170110131656/http://www.hefce.ac.uk/rsrch/oa/whatis/. 24th July 2015. Web. Accessed 30/12/2018. Pan, Bing et al. “In Google We Trust: Users’ decisions on Rank Position and Relevance.” Journal of Computer Mediated Communication 12.3 (2007): 801-823. Wiley Online Library. Accessed 29/12/2018. Parker, Michael. “The ethics of open access publishing.” BMC Medical Ethics 14.1 (2013): 1-4. Springer Nature. Accessed 29/12/2018. Tan, Emily. “One in 20 Brits delete Facebook accounts after the Cambridge Analytica Scandal.” Campaign. www.campaignlive.co.uk/article/one-20-brits-delete-facebook-accounts-cambridge-analytica-scandal/1460836. 2nd April 2018. Web. Accessed 28/12/2018. The Royal Society “Data management and use: governance in the 21st century.” royalsociety.org/~/media/policy/Publications/2017/Data_management_and_use_governance_in_the_21st_century_2017_seminar_report.pdf?la=en-GB. 16th October 2018. Web. Accessed 30/12/2018. Wakeling, Simon et al. “Readers who borrowed this also borrowed… recommender systems in UK libraries” Library Hi Tech 30.1 (2012): 134-150. Emerald Insight. Accessed 16/10/2018. Which? “Can I stop companies from using my data?” www.which.co.uk/consumer-rights/advice/can-i-stop-unwanted-direct-marketing. Web. Accessed 30/12/2018. Yelton, Andromeda. “The Ethics of Ebooks.” Library Journal 137.15 (2012). ProQuest. Accessed 3/11/2018.